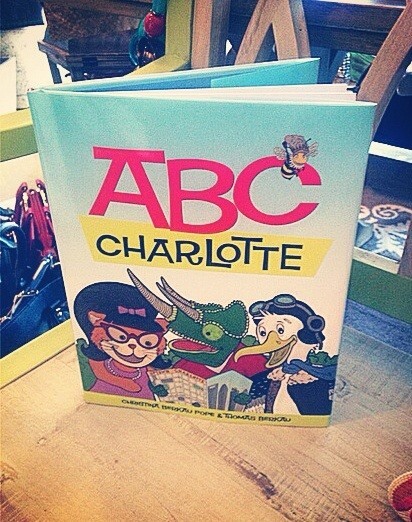 Home Entertainment	Smarty Alert: ABC Charlotte will be @ Lila HOME on 11/8, psst & a giveaway too! ABC Charlotte is almost here! This is a precious book that your little ones will love! Lila HOME Designs will be hosting Christina Berkau Pope & Thomas Berkau for their first official book signing. From the incredible illustrations to the fun descriptions of popular places all over the Queen City, it’s a must have & a fun read for everyone! ABC Charlotte is a great way to teach the kiddos about vocabulary while connecting popular attractions that Charlotte is known for. Join the Lila HOME crew on Saturday, November 8th from 12-4 for some ABC fun, meet the author and pick up your copy for $17.99! Hope to see you all there! We’ll announce our winner on October 30th! Follow Lila HOME Designs on their blog, Pinterest, Facebook or Twitter for deals, tips, and more! Smarty Alert: Pre-order your Madame Alexander 18″ Frozen Dolls NOW for the holidays! I’d love to win a copy of this book! I took my kids to Romare Bearden Park this summer and we had a GREAT time! That is just ONE of our favorite attractions around Charlotte! My girls would LOVE this book! !Our favorite Attraction is the Farmers Market!